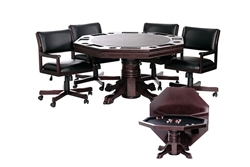 Poker Table Top has area for Chips, Cards and Drink ware with Black Vinyl center play area. 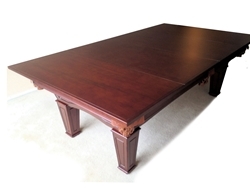 This Top Doubles As a Beautiful Furniture Quality Dinette Top on the Flip Side. 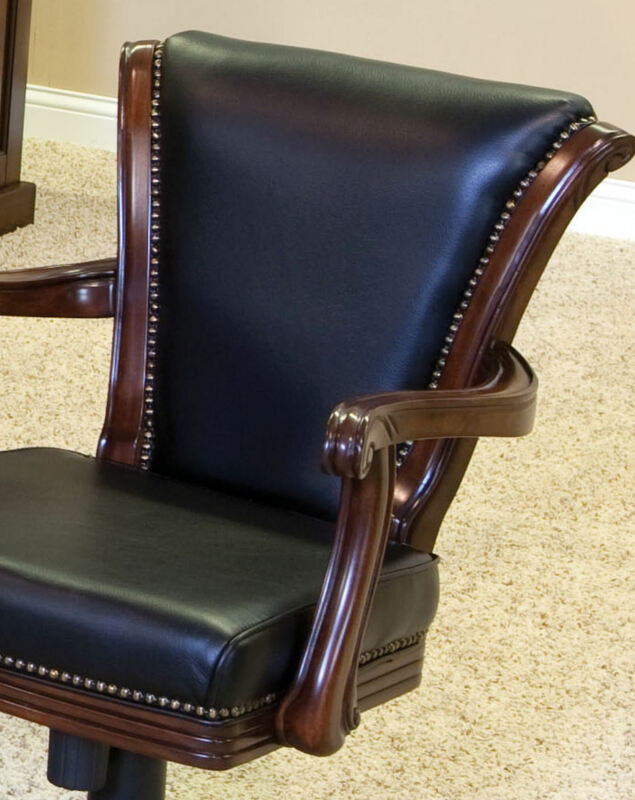 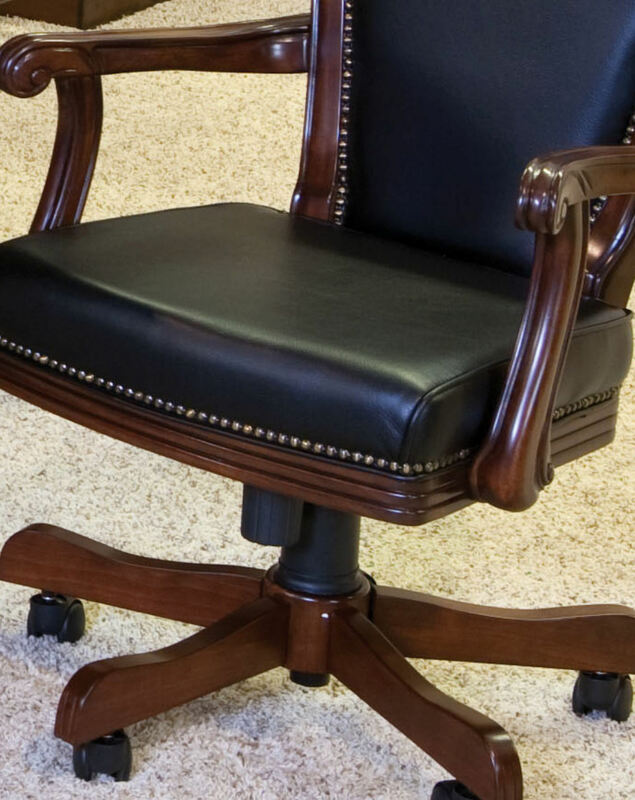 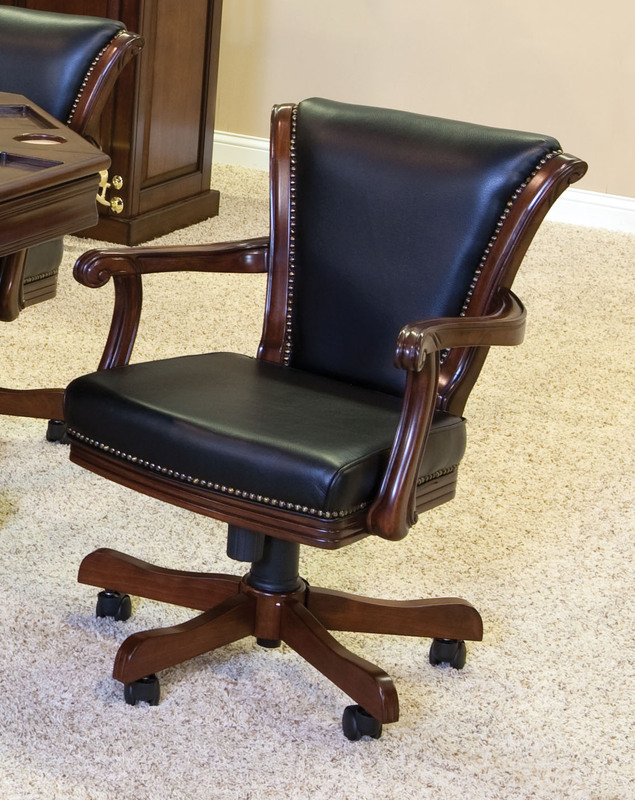 Adjustable Rocker - Swivel comfort settings with spring reclining back and Up and Down position Lever. 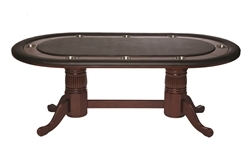 We will simply Add it to the Pool Table Delivery at No Extra Charge. 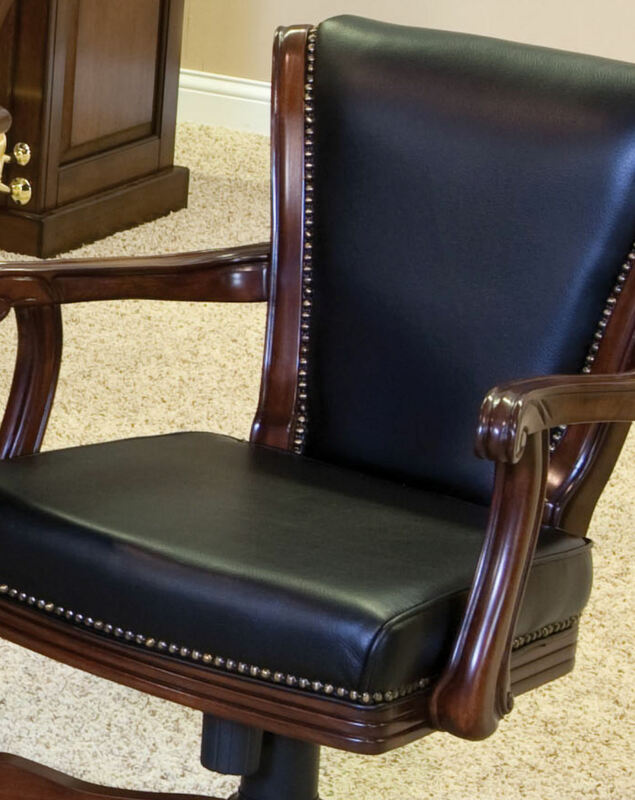 Loria will schedule, contact and coordinate with the customer their delivery and installation date. 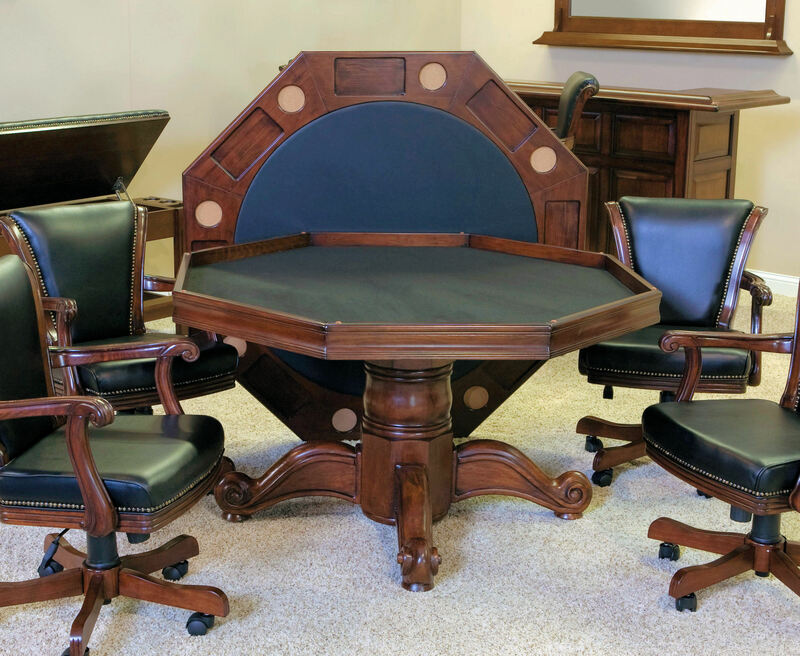 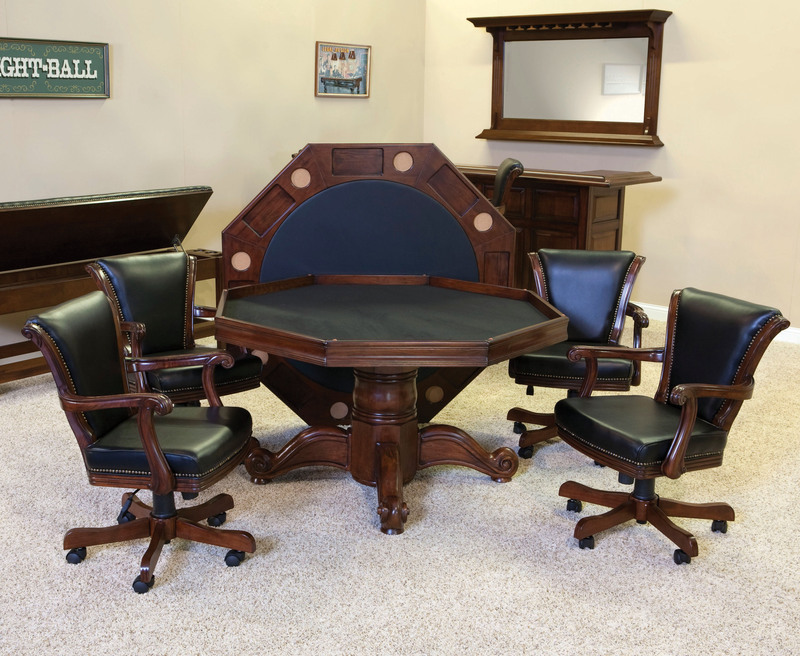 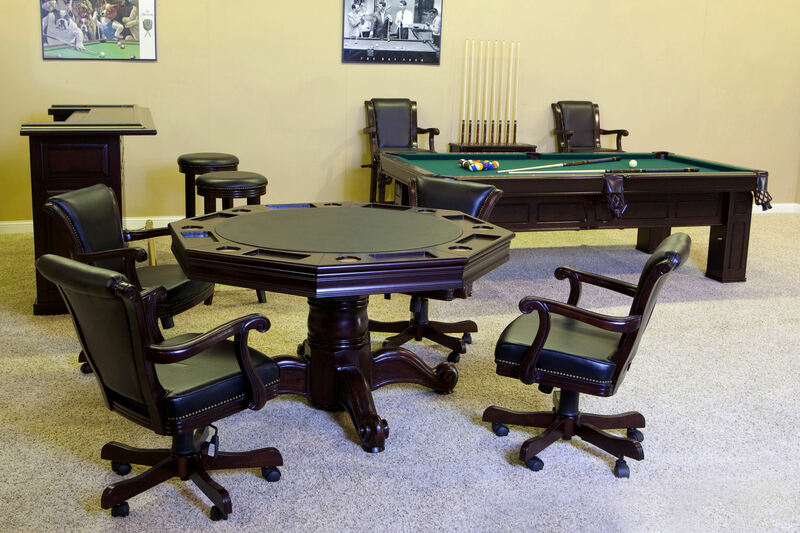 This table requires time for proper set up and is delivered & installed by our game table technicians who are professional, courteous and experts at their trade. 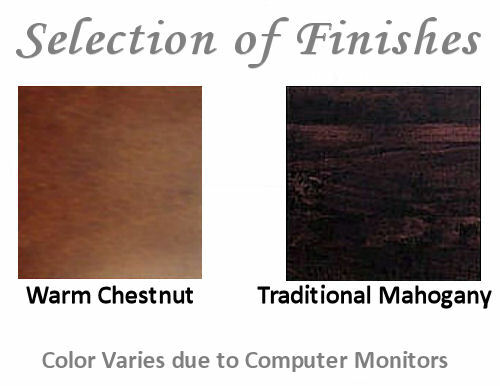 If you have any questions, please call us at 1800-540-2927.